To usher in the start of the Christmas season, I give you a small LEGO set I picked up last week. 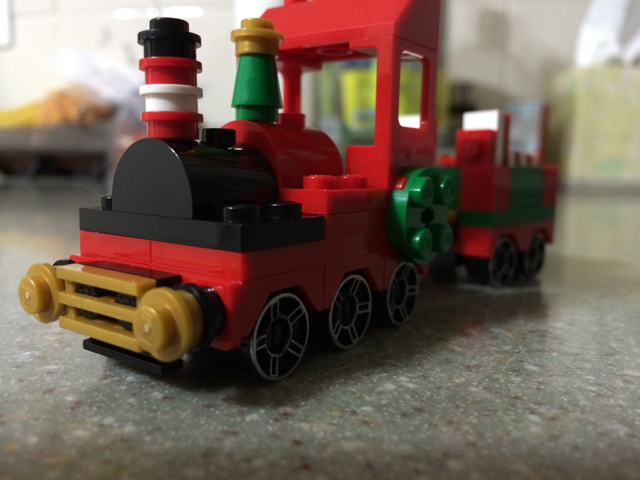 The LEOG Holiday Train, which I also deem the LEGO Christmas Train. 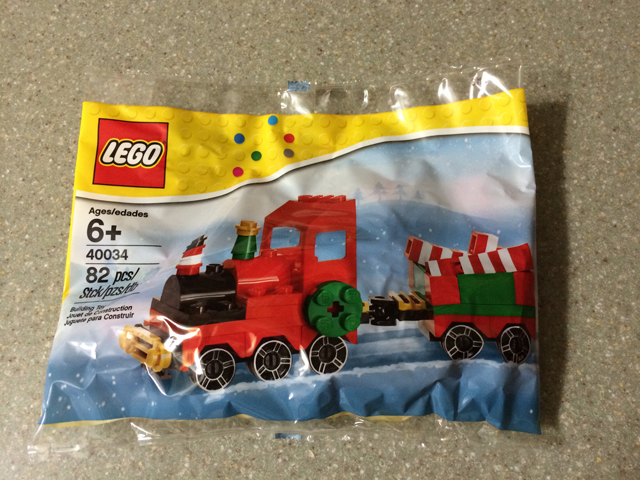 The cheaper and smaller little sets like this use a cellophane-like packaging that pretty much gets put into the recycle bin. Once the set gets built, it goes into one of my LEGO collection boxes, alongside similar under $10 sets. The build time was about 10 mins. For 82 pieces, it was pretty easy. 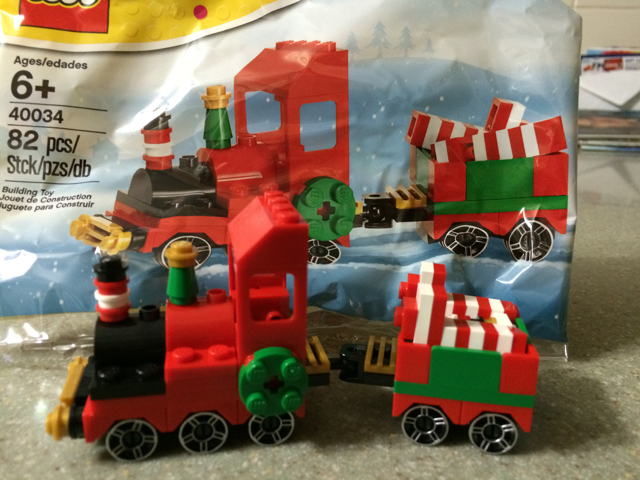 Since it’s a two part train, it added some extra fun finding all of the right parts needed. As with some LEGO sets, they come with extra pieces. 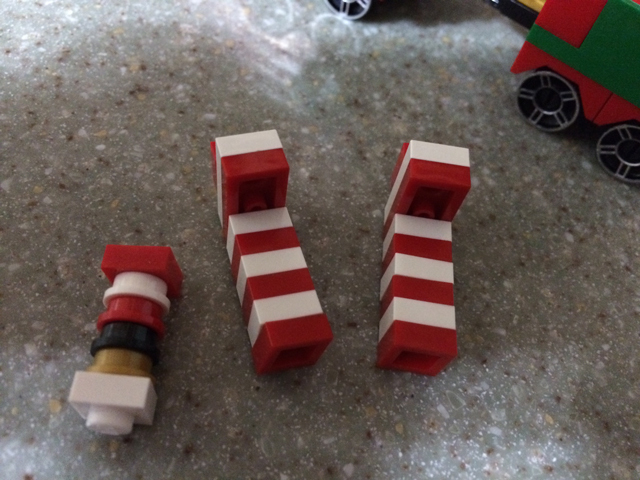 The two red and white candy canes are part of the set. I decided to put all of the extra pieces together, which fit nicely in the second car.